Social media has completely changed how we interact with each other. People now have the ability to express their love, hate, sadness, ecstasy, or any other emotion about any topic from any part of the world. We have unprecedented access to celebrities, creators, and policy makers, and we can use this type of access to achieve many different goals. In this piece, we are going to take a look at how the Star Wars fandom has evolved with the digital age. In the old days, people had to gather in their local community to celebrate the things that they loved. Movie theaters and comic book shops were the first Star Wars chat rooms, and local and national periodicals were the only way to get ideas out into the social consciousness. Now, platforms like Instagram, Facebook, and Twitter allow us to celebrate our fandom to the whole world. Our boy Matt is the perfect example of how a person can go from Star Wars fan to Star Wars creator. Matt started out as a fanboy just like you or me. 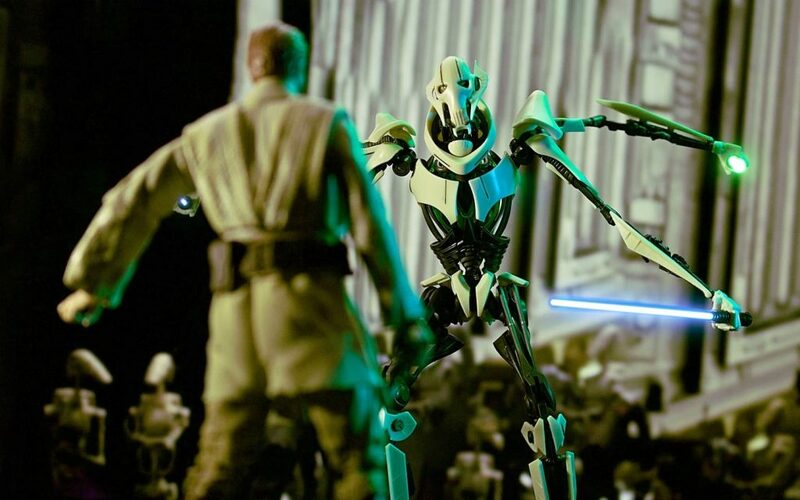 He collected Star Wars toys just to keep on his shelf, but soon after Disney revived the Star Wars franchise, Matt discovered the Star Wars toy photography community on Instagram. These people took their passion for Star Wars and brought it to life with a camera and some clever editing. Prior to the advent of the internet and digital photography, pictures like the one above were not possible without extremely advanced equipment and professional training. Now, anyone with enough passion, dedication, and drive can make a name for themselves and create legitimate art for the Star Wars community. Another example of how the digital age has influenced the national conversation is this very website. Sites like Star Wars Time give people like me the opportunity to put my opinions, insights, and knowledge out in the ether for people like you to read, comment on, and eviscerate, if necessary. This power used to be limited to a select few people who had access to the nation’s consciousness. There is an argument to be made that times were better when the global voice wasn’t so cluttered by the white noise of the internet, but I truly believe that when used properly, the internet and sites like Star Wars Time can provide the online community with entertainment and insight that can’t be found anywhere else. The Star Wars Time podcast has given Matt and I the opportunity to express our die hard love for the franchise that we have loved for decades and provide the Star Wars community with a little bit of entertainment and possibly some useful insight into all thing Star Wars. We are very lucky to have this opportunity to put our voices out there for all to hear. Obviously, not everything about this level of accessibility is good. 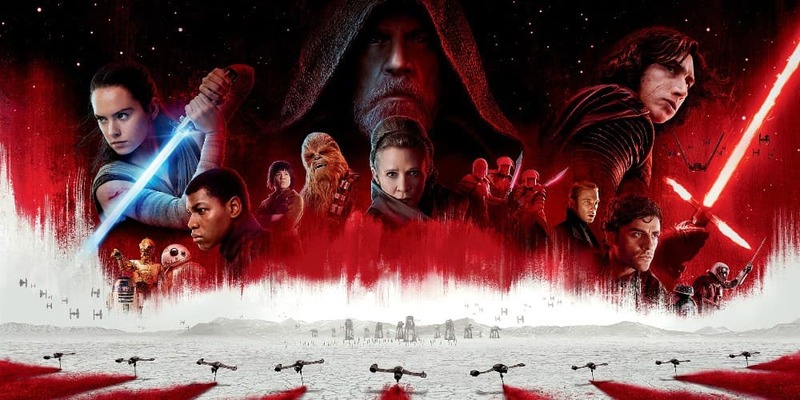 We have seen the dark side of the internet wreak havoc on Star Wars very recently, specifically with the 2 most recent additions to the Star Wars cinematic universe. The Last Jedi was unquestionably a box office smash hit. It made over a billion dollars at the global box office, the 3rd Star Wars movie in a row to achieve that mark since Disney’s acquisition, but the dust settled, the seedy underbelly of the internet attacked furiously. Writer and director of TLJ Rian Johnson was viciously attacked via Twitter, Reddit, and Facebook about the movie’s inclusion of minorities, women, and and the story arc of OT main character Luke Skywalker. Johnson received slews of death threats, negative comments, and hate mail due to his creative choices in the movie that he was hand picked to write and direct. While many people will say that everyone is entitled to their opinion, everyone is not entitled to make a man fear for his life due to petty disagreements about a movie franchise. This toxicity is now permeating the Star Wars landscape so much so that the most recent addition to the franchise, Solo: A Star Wars Story, brought in the lowest box office total in franchise history. Post TLJ, a very vocal and visible part of Star Wars fandom has been have been trolls and bot account. 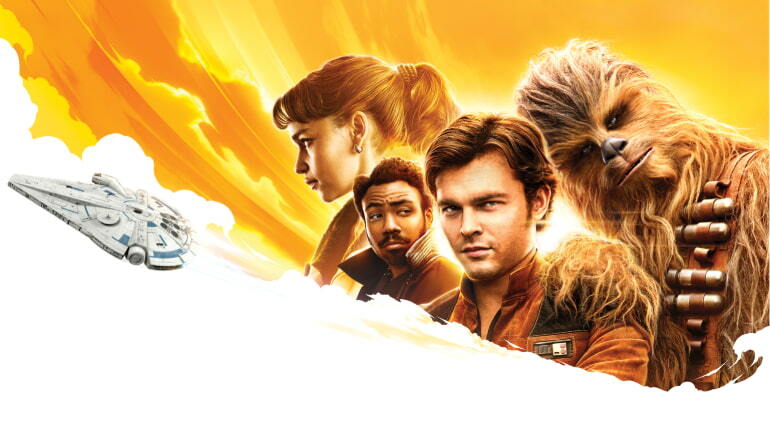 This contingent mobilized to ensure that people who were on the fence about Solo decided to shy away from the theatrical release by spreading misinformation and negativity via social media. While the movie’s troubled production and rushed release definitely had an impact on the poor box office numbers, it is undeniable that these negative online forces had some impact. Unfortunately, there is no way to completely rid the internet of toxicity. It is the unwanted side effect of the good things that come from unrestricted access to information and the social consciousness, but it is also the responsibility of the true fans to make our voice louder than the toxicity and negativity. It is up to fan sites, podcasters, creators, and artists to amplify the positivity and encourage healthy and constructive feedback and communication between all members of the global Star Wars community. Remember people, we are all here because of an idea that came into George Lucas’s head over 40 years ago. Let’s make sure that idea has a chance to live on for at least another 40 years.